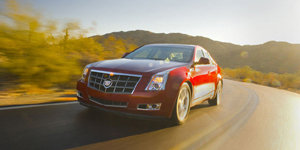 The Cadillac CTS offers distinctive styling, good handling, and a spacious interior. 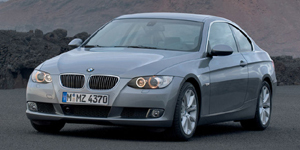 Power comes from a choice of V6 engine. 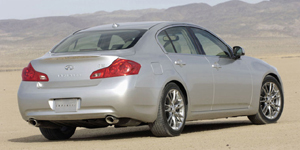 The Infiniti G35 sedan is handsomely styled and offers excellent handling. 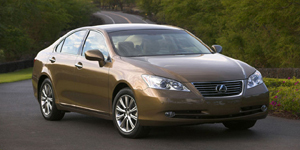 It is powered by a strong V6 engine driving the rear wheels. All-wheel-drive is optional. 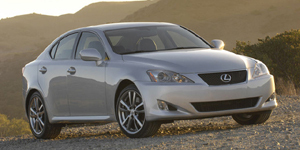 Powered by a choice of V6 and V8 engines driving the rear wheels, the Lexus IS features sporty looks and handling, and a high-quality interior. AWD is available.